I really like the Mercedes-Benz SL R129 series. One day I wondered how a shooting break of this particular model would look like. Apart from the roof, nothing has been changed on the body. The car has been lowered and I added wheels from a V12 S-Class. Another Honda from the 80’s. Only minor modifications to create this virtual model. I retained the stock look of the third generation CIVIC Hatchback and just lowered it over 15″ mesh wheels. The lights have been altered also for a cleaner look. 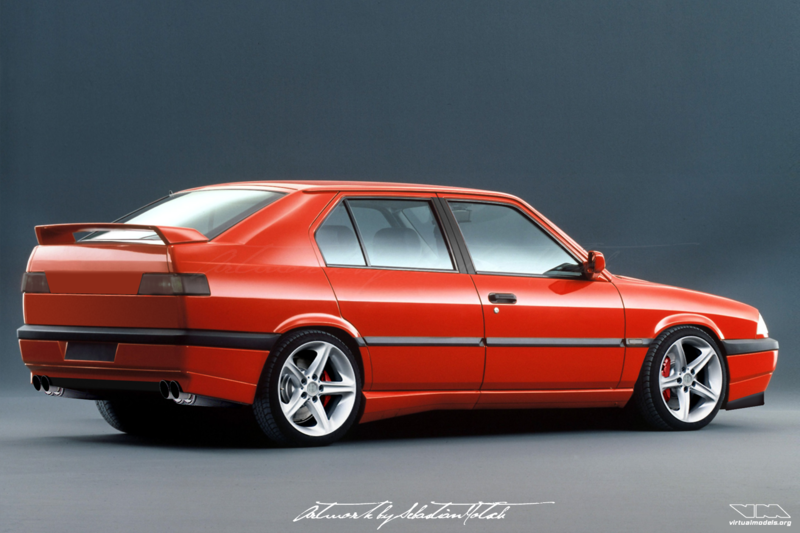 The third generation CIVIC still had the sleek and clean design typical of 80’s Hondas. This one was just lowered and a set of up-to-date larger diameter wheels have been installed. Even the most mundane cars can be transformed into something fun to drive. 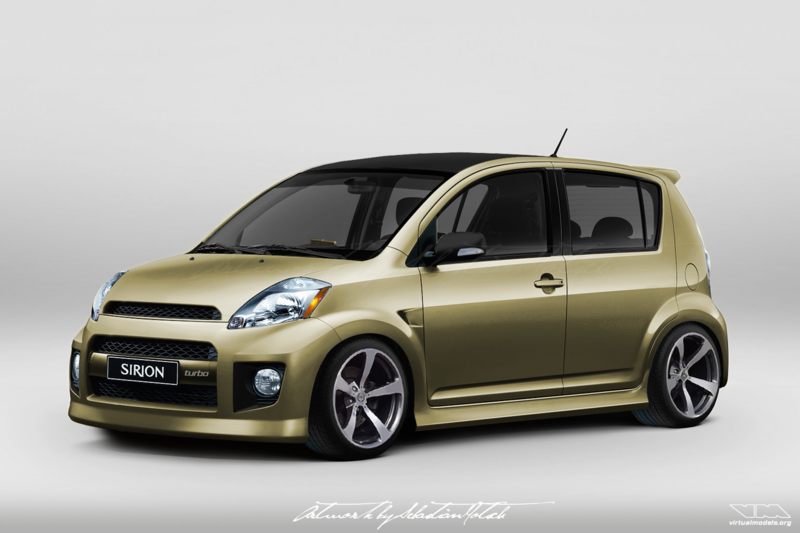 Driving a Daihatsu Sirion rental car in South Africa inspired me to modify one virtually. A more aggressive front, a bodykit and a set of larger wheels help this little car to look more grown-up. In my opinion, Hondas of the 80’s have had a very sleek and clean design – there being no need to change anything on the body or trim. The BA2 Prelude was the first Honda I owned. This one has been lowered over period correct 15 inch mesh wheels and the windows have been tinted. Even though overlooked by most people, the Renault Fuego is a nicely designed car. It does however lack sportiness when factory stock. I flared the fenders, added larger diameter OZ Futura wheels with low profile tires and removed some of the plastic trim. When the first pictures of the IMSA modified Lamborghini Gallardo appeared on the web, I thought that those wheels might look great on any car with straight lines from the 80’s. The Volvo 740 (aka “The Brick”) has been lowered and a custom bodykit was added. Being a child of the eighties, I grew up with those cars and I still like them. This Alfa Romeo 33 didn’t need a lot of tinkering to become a looker. It has been lowered over BMW 1-Series M wheels, the bodykit has been modified slighly and the rear fascia has been changed. Even though the Nissan Cedric Y34 is a car from the nineties, I opted to give it that retro look with the hood painted flat black hood instead of carbon fiber. 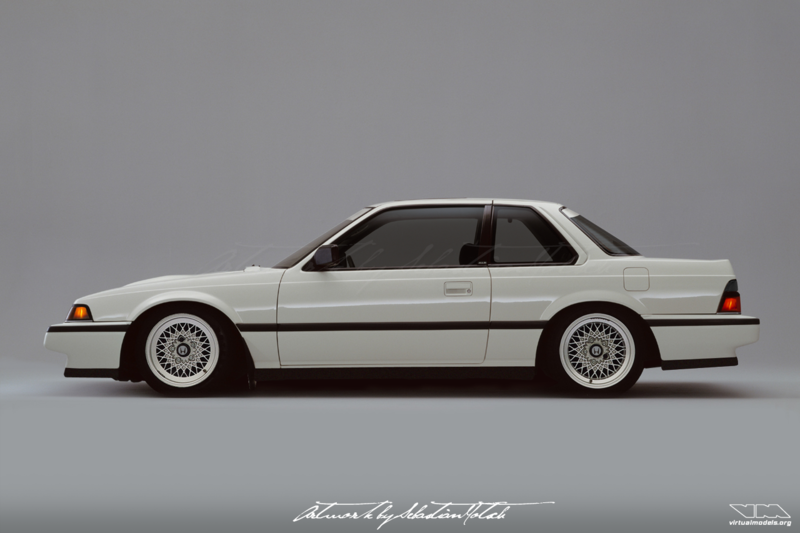 The wheels are pure 80’s design – but with a larger diameter not available back then. 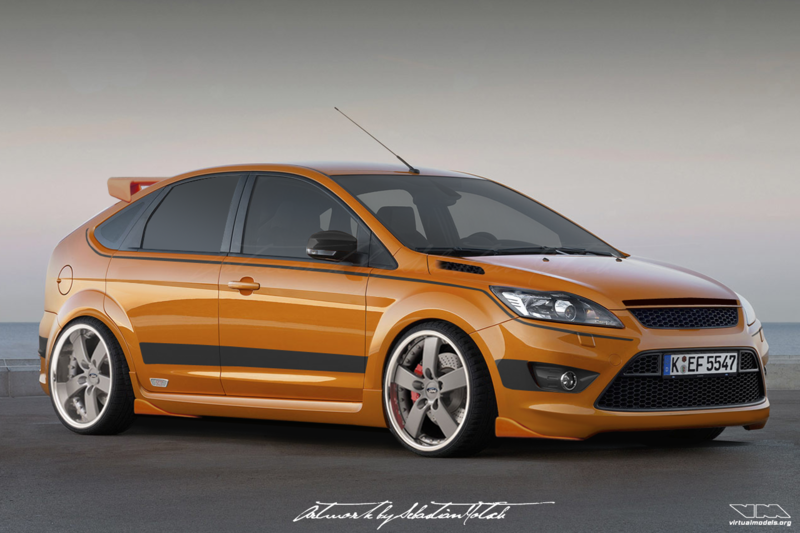 This is part two of the Ford Focus ST chops. The car has been lowered over a set of nice wheels. The body has been cleaned and some details have been added to the bodykit. However, there was no need to change the bright orange color. When I found the original picture, I instantly decided that it deserved a nicer background. 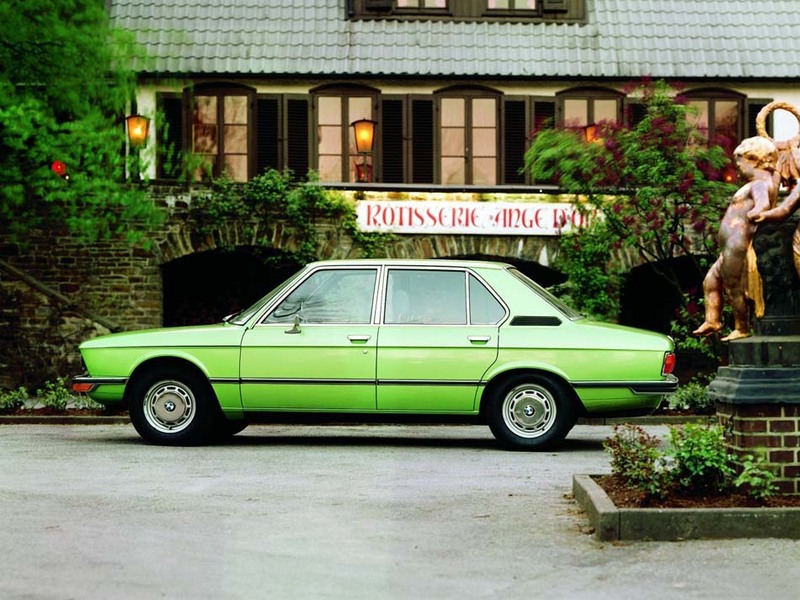 The 70’s color of this BMW E12 5-Series really stands out – and the shadow line conversion adds to it. 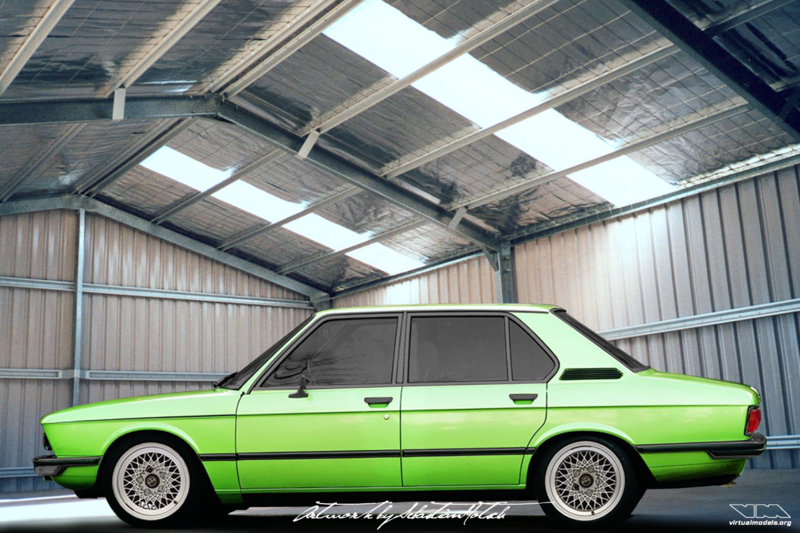 Not much else was done, I just added a couple of period correct alloy wheels and lowered it. I have always liked the shooting break concept of two-door station wagons. 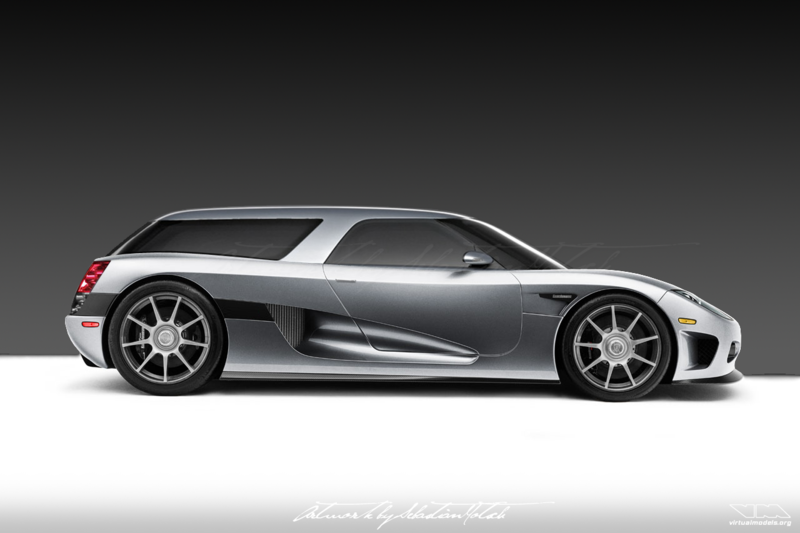 The Koenigsegg CCX inspired me to create one of those. Can you guess where the roof and taillights came from? When the new Lotus Europa came out I was a bit disappointed with the styling. To me it looked rather boring. Therefore I decided to turn it into a racecar. Whether it fits GT2 or GT3 specifications was not relevant back then. 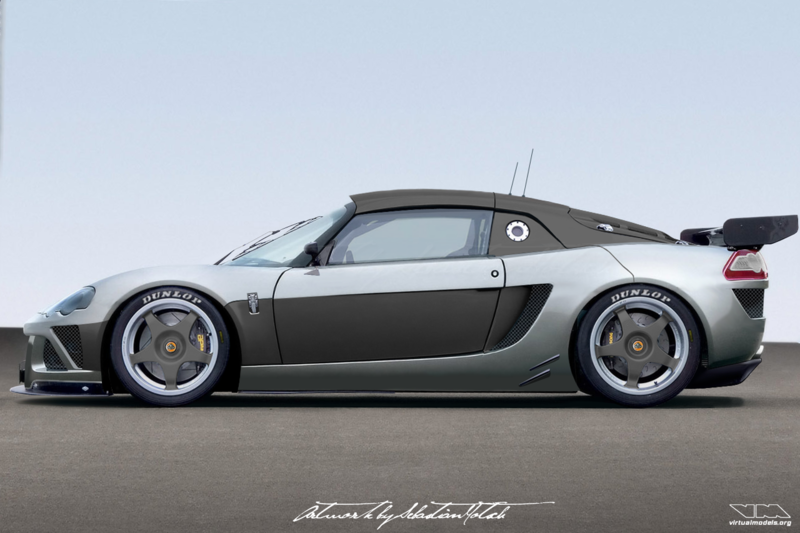 The Holden Sandman Concept served as a test. For the first time I worked with logos, used as decals or stickers on a virtual model. Therefore not much work has gone into modifying the ride. Converting this Startech 300C was quite a lot of fun. Initially, I planned to enter it into a contest many years ago. I wanted to create something different, apart from the usual lowering, Lambo-style doors and wheel changes. 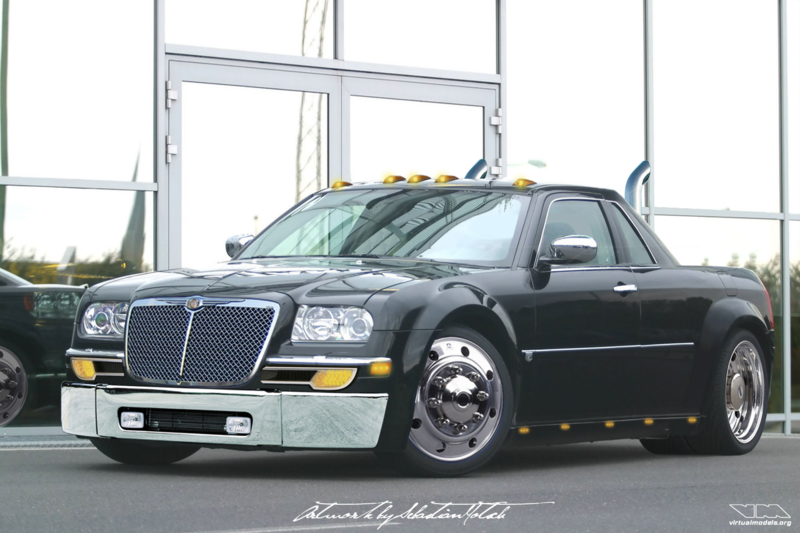 The bold look of the vehicle inspired me to convert the 300C into a (mini)truck. 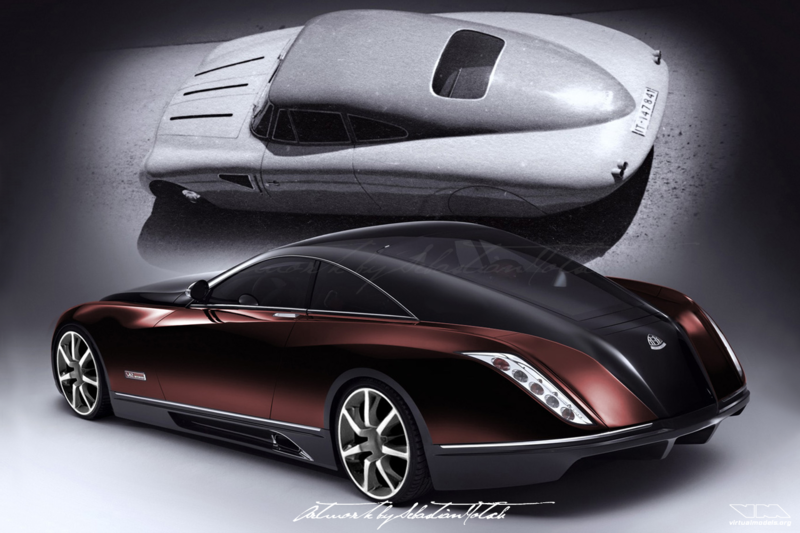 One of my oldest photoshop chops is the Maybach Exelero. Not much done here, just a few minor tweaks. The factory paintjob has been upgraded to a two-tone paintjob, Aston Martin wheels have been added and the winglets have been removed.